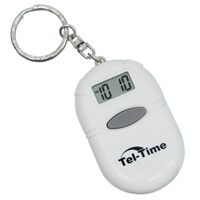 Our Talking Key Chains are one of our most popular talking aids. 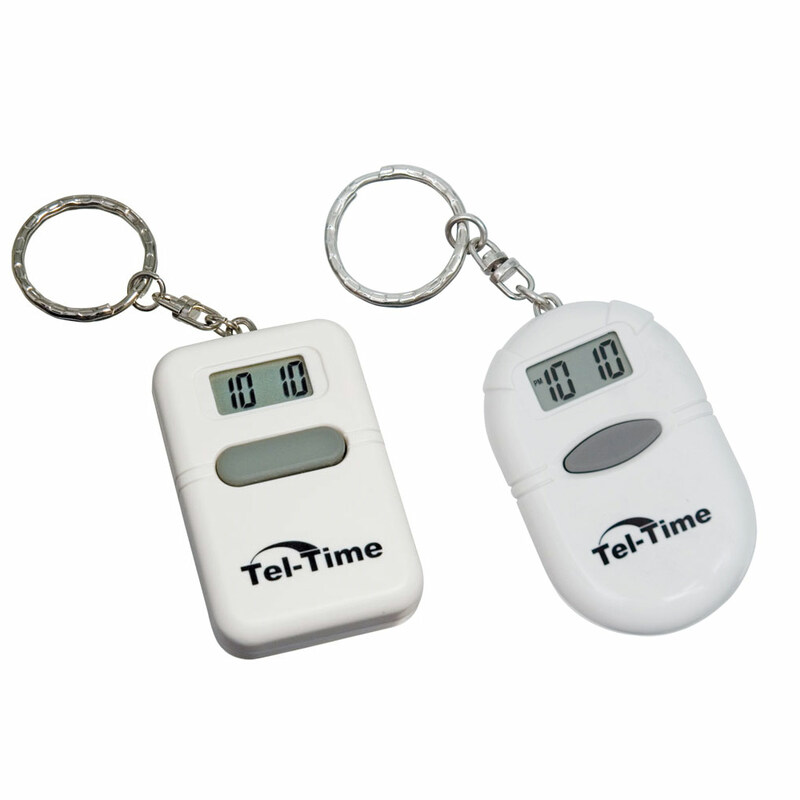 This low vision product comes with LCD and audio time report, alarm and hourly time announcement, all in the convenience of a keychain. This talking aid uses two LR44 batteries (included). 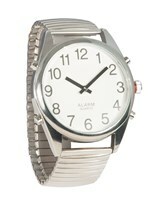 - These talking key chain/clocks are equipped with a Power Saving Mode to preserve battery life. In order to use the low vision clock when you first receive it, it will be necessary to turn off Power Saving Mode, a simple process that is done as indicated below.